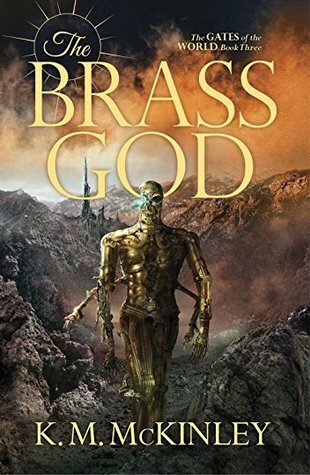 This isn't our usual fare over here on SF&F Reviews, but it was such a powerful, interesting read that I thought we'd talk about it. The Secret Barrister: Stories of the Law and How It’s Broken is a book based on the blog by the eponymous (and anonymous) Secret Barrister. It explores every aspect of the system of law in Britain, from arrest through trial and sentencing, and explores the roles of key actors in that system, such as solicitors, judges, magistrates, barristers, police officers et al., as well as organisations like the CPS. If you’ve ever wanted to know key differences between US and UK law when switching between Law & Order reruns and episodes of Broadchurch, this is the book for you. 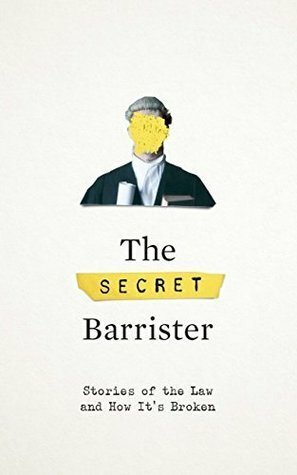 If you’ve ever wanted to know how the British justice system works – or if it works at all – this is also the book for you. Full disclosure: This book made me very, very angry, which I suspect is one of its goals. It’s difficult to read about the system of justice failing and being failed as comprehensively as the text presents it and not get angry. The text forensically dissects every aspect of British justice, and while it’s willing to say where things are done well, it’s also incredibly scathing where things are not. And it turns out that there are quite a few cases where that’s the case. But why does this work? Why do the stories here have such an impact? I think part of it is the style. This isn’t an impenetrable legal textbook, filled with scattered Latin phrases and a load of assumed knowledge. It’s in a chatty vernacular breezy and accessible to anyone, even – or perhaps especially – those of us with no legal training. That accessibility is a triumph; I imagine making the state of law and justice to the layman is a difficult thing to achieve. But it’s backed up by a passion in the words, an enthusiasm and sense of care which is evident in the prose even as it erupts off of the page. The author wants the reader to understand the system, to be sure – but that’s only part of the goal. Another part is that they understand why that system is important, and what the issues with it are. In that, the text is a magnificent success. Its explorations of the system are erudite, the slings and arrows it hurls at that system precise as well as heavily barbed. There’s a sense here passing from author to reader that the British have one of the greatest justice systems in the world, if only we’d look after it properly. The personal stories – of cases abandoned or perversely decided due to spending cuts, of triumphs of law over common-sense, of everyday chaos wrought by those trying their best in an overloaded, underfunded world – give a sense of the immediate, and wrap the larger legal perspective up in something unafraid to show the consequences of that perspective on actual people. This is an elegant, eloquent book, which serves as both a primer for understanding a system which sits in the background for the entirety of most people’s lives, but also carries a fiery passion and indignation at the way in which that system is being slowly dismembered, or failed by lack of funding, and a similar enthusiasm for its successes in spite of those flaws. There’s an energy thrumming through the pages, an inherent decency and sense of urgency which makes each page at once a refreshingly intelligent exploration of complex problems, and a hard shot of cunning crafted sizzling rhetoric about how those problems are being ignored. Should you read it? If you’ve ever wanted to know how the justice system works, in theory and in harder, grimier reality, yes. If you want to see the sparkle of an institution with potential, and the stark anger at the way in which that potential is wasted, yes. If you want to see how we can and should change things for the better, then yes. It’s an absolute barn-stormer of a book, one which will benefit multiple reasons, and inspire anger and hope in equal measure. Find a copy, buy a copy, read a copy. If nothing else, it’s likely to make you think, and that is some high praise indeed. 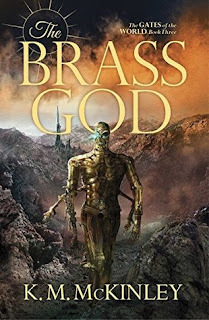 The Brass God is the third in K.M. McKinley’s ‘The Gates of the World’ fantasy series. It’s a lavish production, one which spills over a vast geography which manages to contain both a sprawling cast and some complex, intriguing ideas. We’ve seen aspects of McKinley’s world before, but are breaking new ground here. Specifically, we enter the land of the Modalmen. These individuals appear monstrosities – huge, four armed and also heavily armed, they’re terrors to strike fear in the hearts of any man, spectres that appear out of the dark of night, burn, pillage, and disappear. But they do, it seems, live somewhere – on the edges of civilisation. McKinley shows us these desolate barrens, stark winds hurrying through a land whose sterility hints at past atrocities. It evokes a sense of being a small part of a greater whole, a loneliness that lies beneath the camaraderie and tribalism of the Modalmen. Though they can be monstrous, they are not monsters – and looking at their world, at the trappings of technology and magic which bind them to their lives, that feeling of loneliness seeps off the page and gets under the skin. The soaring, broken towers of the Modalmen, the pride and anguish of artifice gone awry, is by no means the only piece of the world on display, but it’s certainly the most startling, the bleakest, and the one which carries such a grandiose sense of wonder and ruin wrapped around it like a once-fine tattered shawl. As with the previous books though, there’s a lot more to see. There’s delightful sections centred on arctic exploration and survival, skating away from a larger threat. It’s a start contrast to the stony plains of the Modalmen, a sweeping vista of ice, where the real antagonist is cold and desolation. But there’s also thriving cityscapes, horrifying institutions, and much more. It’s difficult to overstate the scope and scale of this work. It’s densely packed with different points of view, each bringing a unique perspective to their situations. But those characters are embedded in a sprawling, vividly imagined world. It is a world, as well. Towering citadels and urban slums exist alongside the wilderness, but you can feel the pull of geography between them. There’s a sense that the story is taking place across vast distances – and not always physically. The same is true of the cast of characters. This is the third book in the series, so they’re all fairly familiar by now, but gosh, there are a lot of them. It’s to the author’s credit that, focusing on a large group of siblings from one family, each seems to have their own voice and agency, and be distinctive from the others. It helps, of course, that they’re embedded in their own plotlines of course – an arctic explorer carrying a different mindset to a social reformer. You can see the passions and fears which drive these people, and they do feel like people. Individual, distinct and in some cases not overly pleasant people, but still. That the focus is there doesn’t mean there aren’t others worthy of mention; I particularly enjoyed the forceful aristocratic lady who was also an unapologetic scientist and rake. If I have any complaint it’s that the mosaic of these characters and their stories on the quilt of the world are a lot to take in at once. Still, once you’re caught up on who’s doing what and why, the story absolutely powers along, with the sheer amount of characters and locales building an elaborate and fantastically plausible world. The story – well, it’s the third part of a series, so no spoilers. But it begins with a slow burn, drawing the reader back into the mysteries and histories which sit at the core of the narrative. There’s a lot of the unrevealed and arcane about it, and that mystery and the slowly dawning sense of revelation kept me turning pages. That wasn’t all of course – there are gods, some seriously impressive and pyrotechnic magic, as well as some startling character revelations and kinetically explosive fight scenes. It is, in short, a book which will make you want to keep reading, to know what happens next, to delve into the detail and tease out the mysteries hidden behind the text. This is an impressively layered, thoughtful work, and one which is likely to reward more than one reading – but it does also reward that first reading, laying out high stakes for our protagonists, and giving them the sort of emotional depth which makes you care whether they win or lose. I’d say if you’re coming to this fresh, go back and start at the beginning of the series; there’s some assumed knowledge here, and it would be easy to miss things if you’ve not read the rest of the series. That said, once you’re caught up, this is a worthy successor to previous volumes, and a genuinely epic work of fantasy. 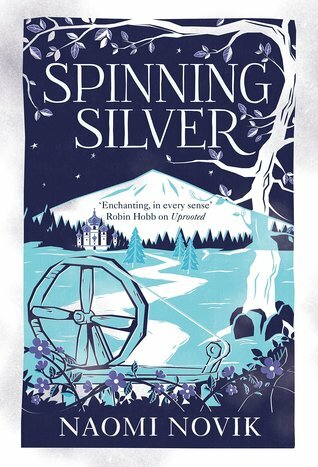 Spinning Silver is a new standalone work of fantasy from Naomi Novik. It has something of the fairytale about it, in the rhythmic language, and in some of the narrative structural underpinnings – but, much like 2015’s ‘Uprooted’, there’s a lot more going on. In a sense, this is a fairy-tale for grown ups, but it’s not just that. It’s a story about power and the exercise thereof, and about agency – denying it, fighting for it, holding onto it. It’s a story about women and how they define themselves alongside or against social expectations. It’s a story about faith, and how that faith can hinder or help you. It is, in short, a book filled with interesting ideas, which it explores at the same time as being an absolutely cracking story of magic, strange creatures, and normal families doing their best to get by in extraordinary circumstances. The heart of the book is a triad of different women. Miryem, the daughter of a less than successful moneylender, is a force to be reckoned with. She has a firm eye on what needs to be done to make success out of adversity. Miryem is not received well in a village which is used to borrowing money and then not having to pay it back – her stubborn refusal to take no for an answer is backed by a cool ferocity and determination which lets her come straight off the page, sharp edges, strong will and all. In Miryem’s efforts to make a profit and lift her family out of penury, she’s ably assisted by Wanda, who acts as her collections agent. Wanda has her own problems, though – a family on the edge of starvation, an abusive alcoholic father, and an unusual mother. Wanda’s efforts to make ends meet, and to make a life for herself not defined by the expectations of those around her are incredibly impressive and also terribly poignant. That Wanda and Miryem work side by side is one thing – but alternate points of view show us how each thinks of the other and how they see each other, a reminder that perspective is everything. The third leg of that perspective is Irinushka. A duke’s daughter, she carries the material comforts that the other two decidedly do not. But while Miryem’s family is supportive and perhaps too kind, Irinushka’s father is cool, distant, calculating. To him she is nothing more than a bargaining chip – a perspective he shares with Wanda’s father, though the levels at which they operate are rather different. Like the other two women, Irinushka is desperate for something of her own, to escpae the straitjacket of conformity placed on her by family, politics and social convention. If her father doesn’t beat her, as Wanda’s does, still she has little in the way of support network –her only confidant being her aged childhood carer. If there’s a thread tying these three together, its that they’re absolutely fierce. Miryem is an implacable iceberg, who is always prepared to break against a problem until she can resolve it. Wanda is quieter, perhaps more subtle, evading issues she can’t resolve, and trying to struggle out of a family history which prevents her from thinking of fighting back. Irinushka has the most material freedom, but is further locked into a cage of expectations. Each of them has their own voice, their own needs, their own differences. They share a desire to do things, to break the paradigms that lock them in place, to empower their own decision making – and a willingness to face the consequences. Seeing these three, from very different backgrounds, face their fears and the rage of others, to demand that they be allowed to be themselves, is at once heartbreaking and incredibly powerful; this is a story which carries an emotional kick like a mule, and it uses that kick often. And it hurts, but in a good way. But anyway. These are women in a fairly tale, though not one where happy endings are guaranteed. There’s magic about, and creatures abroad which might not even loosely be described as friendly. Novik gives us a world almost recognisable in childhood memory, one where the stark white of the world is everywhere, and where the Tsar holds sway over his country, but doesn’t ask questions about what happens at its borders, seen or unseen. I’ve already mentioned the prose, but was delighted on a re-read to notice that the cadence is right for having the book read aloud; it may not be entirely child safe, but that linguistic effort gives the story some of its fairytale charm; there’s other familiar faces in here, too – elfin strangers, handsome princes, bad (and good) bargains –b ut here there’s a story under the story, a complexity which suggests that this, the book you’re reading, is the narrative that happens after the one you tell the children, or happens beside it, out of their sight. This is a multi-layered text, one which is going to reward several readings. It has characters which have been built in such a complex, nuanced way that you may half expect them to come off the page and start talking to you. The world it inhabits will have you looking for the crisp crunch of snow underfoot, even in high summer – I found myself reading parts of the story during a recent heatwave in an effort to cool down! And the characters – I mean I’ve touched on the core trio, but they’re surrounded by an ensemble all with the same sense of inner life – from Irinushka’s old nurse, remembering terrors long gone by, to Wanda’s supportive brothers, to her appalling, broken father, to the terrors out of the night who are both more and less terrible than they seem – they all feel alive, present, real. Should you be reading this? Yes. It’s a true tour-de-force of fantasy, one which kept me turning pages to find out what happened next, but also challenged my expectations of the story and the characters within it. This is a book which will sit in your head for days afterwards, even as its one which you can’t put down late into the night. So, once again, should you be reading this? Yes. It’s fantastic, in all sense of the word. Give it a try. Death Of A Clone is the debut from Alex Thomson; it’s a rarity – a nuanced science-fiction story, with a weather eye fixed on the traditions of the ‘cozy’ mystery genre. It blends the patterns of Poirot and Marple with thoughtful questions about humanity and its future. The location for all of this is Hell. Well, not literally, but close enough. Hell is the name of an asteroid plummeting through the edges of the outer solar system. It’s cold, dark, and lacks an atmosphere. It is not, to put it mildly, a fun place. It does, however, have one thing going for it – it’s rich in metals. A mining crew is settled on the asteroid, their lives defined by a rota, which tells them who should be where and when in order to meet their quota. They’re isolated in the tumbling black…and they’re all clones. The clones exist in ‘families’, each with a defined role. Some do the heavy lifting. Others the sorting and classification of ore. Others do more agile work. Each family carries traits – be they stolidity and a certain refusal to rock the boat, or a wry cynicism – Within the families, they’re aware of each other, but telling each identical member from the others is something of a task. The clone families are also not the only people on Hell. They’re supervised by three men, who are not clones themselves. These Overseer’s are responsible for production, for maintaining the velocity of their work crews. This is a closed system, and its also an emotional hothouse. The authority of an Overseer is backed by weaponry, and by the promise that after enough time has passed, everyone on the rock will get to go back to Earth – a home that none of the clones have ever seen. There’s issues here around identity and power, of course. The Overseers carry nominal authority, but are significantly outmanned by the clones which they oversee. The clones, in turn, fight to meet their mining quota in the pursuit of a dream – as the alternative is an eternity on a desolate rock. In this instance, Hell is both a desolate rock and other people. 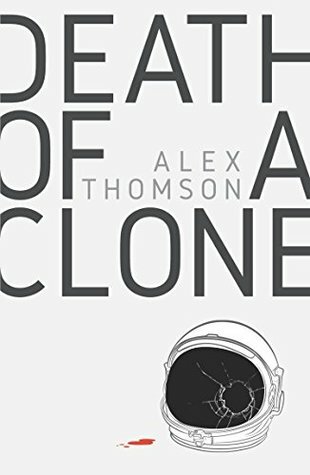 Because the interpersonal dynamics of the clone families are always shifting; certain families are engineered to be attacted to the others, and there’s a question here of volition, of the amount that genetics make up reasoning, and on how far outside the bounds people are willing to push themselves. On which note: whilst Hell is a wonderfully realised backdrop, a stark wasteland which carries horror in its very prosaic drudgery, it’s the characters which steal the show. Well, one, anyway. Leila is our protagonist, one of a pair remaining from a clone family cut short by accident. What she knows is life on Hell, but what she dreams of is Earth – an Earth spoken of in stories from an Overseer’s books – of village greens, red post-boxes, and murders which get solved in time for tea. Leila is sympathetic; she’s prone to self-examination, and in looking at herself and others, we see the collective power structure which persists – the clones working under their overseers, the overseers constrained by the number of clones and the necessity of meeting a quota. But we also see the relationships binding Hell together, and Leila’s eyes let us see the simmering feuds and resentments which are quietly frothing under longstanding social norms. How one group doesn’t trust another not to cause trouble. How one group keeps to themselves, with accusations of a hidden agenda. How the Overseers are flawed individuals – not authority figures as much as men given authority and let loose. Hell is a pressure cooker, and the story draws out these pressures, throws them under a light, and lets us explore them – but with the awareness that more are hidden away, still, that there are currents which have yet to be fully explored. Given that the clones are meant to be identical, it’ delightful that each we see in detail has such a unique voice; Leila in particular is incisive, introspective, and prepared to make hard decisions in pursuit of truth. Her contrast to the bullish members of one ‘family’ and the manipulations of another is stark, but clean – these are people, the text declaims. Even if they’re stamped out of a die, their individuality, their struggle, is unique and to be appreciated. This is true from the simplest – those who try and break up their similarities with props or facial hair – to the more complex, those who keep their individuality locked within their emotional core. In any event, each of the clones and their three overseers lives, truly; and in plumbing the depths of mystery, we get to know a great deal more about many of them. I was delighted by the delicate, complex power dynamics of the story, something which works because each of the characters we’re shown has something different about them, an individuality at conflict with the bald faced dehumanisation of cloning. In any event, these are well-drawn, complex, humanised characters – and ones for whom I felt, by the end, a full measure of empathy and sympathy. The plot – well, more than usual, that would be telling. It is, not to give anything away, a murder mystery. That said, it both appropriates and subverts the tropes one might expect from that, gleefully playing into the comparisons with Christie whilst keeping a stream of fresh ideas running through. The clues are there. The body is there. Thecriminal? Also there. Hell is a very, very large locked room, which challenges us to think in terms of means, motive and opportunity. It has enough red herrings to keep you guessing, and enough complexity and truth within it to make revelations a delight. But it’s not just a whodunit – though it is a good one. This is also a sci-fi story, and if it explores a murder, it does so through a lens of power, of agency, and of a future where individuality may be suppressed, but not denied. There’s enough mystery here to keep you turning pages, and enough pathos and other emotional weight to make you feel each revelation like a kick in the gut. This is a story which has power, I say. One which will explore the best and worst of what we have within us, and wrings out its reader emotionally whilst showing that to them. It’s clever, both in the stories it hides, and the story it tells – a multi-faceted jewel in the literary ore. If you’re looking for something new, something which will challenge you to think, and also challenge the way in which you think, this one’s for you. I’s a page turner, one which will keep you up into the night – but also a story which wants to ask the big questions, then waits to see what your answers are. Give it a try.